A good floor pump is the most used tool in the shop. And as a company that only deals in tubes, tires and sealants we take inflation very seriously. Every Velowurks floor pump is worthy of a place in your shop. High quality construction with fully rebuildable internals, large, easy-to-read gauges, extra long hoses with schrader and presta valve compatible pump heads, and a host of thoughtful design elements like integrated hose keepers and extra wide, anti-tip bases. 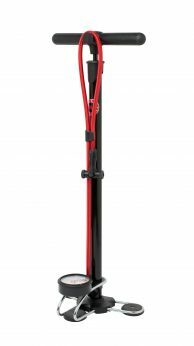 The Indy is our entry level floor pump and will deliver years of solid service for recreational users. 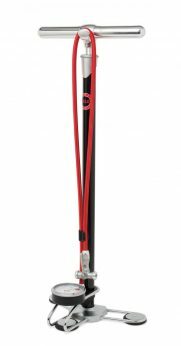 The Element is a shop level pump built to withstand the everyday demands of continuos use. 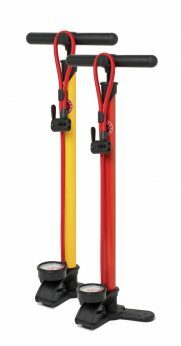 The Prime is the ultimate floor pump, a timeless classic that combines the Bauhaus aesthetic of function over form with a knowing nod to cycling heritage. Built to last a lifetime, the Prime is a pump your heirs will fight over at the reading of your will.